What is the best wallet to store Ether and Bitcoins? Storing Bitcoin or Ethereum in a secure way is simple yet difficult at the same time. Paperwallet and hardware wallet are the safest options for any cryptocurrency. If you’re dealing with nominal amounts for both currencies, then pretty much any wallet that offers to hold these two crypto-currencies will do. 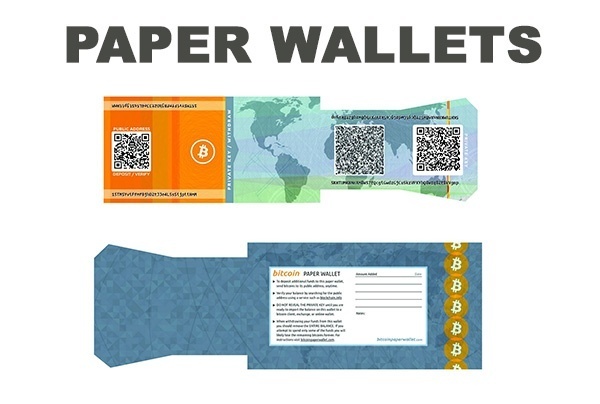 Paper wallets - the most secure way as long as you take necessary precautions to safely store your private keys in a vault or safe. This requires extra funds to rent a vault or purchase and install a safe. However, the level of security depends on the amount of steps you’re going to take to ensure the safety of your paper wallet. Remember, banks could be robbed and your house could burn down - to mitigate these risks, it’s best to create at least two paper wallets and store them at two different highly-secure locations. Hardware wallets - you can store your money in hardware wallets which are disconnected from the Internet, therefore cannot be hacked. You can purchase one from Ledger Wallet. This is probably the best option available at this moment in time. Desktop wallets - another way of storing your crypto-currency is on your own computer. You can download the blockchain and create your own wallet to store private keys on your computer. This is fine as long as your computer is well-protected from any malicious programs and hackers. Again, the safety depends on your level of involvement. Common sense is to spread your holdings evenly and not to put everything in one basket. All online wallets are third party companies that are not only in control of your private keys, but they’re also responsible for ensuring the security. Another risk is that they could go bankrupt, in which case you’re not going to get your money back. In my opinion, if you’re dealing with large amounts of crypto-currencies which main purpose is to be decentralized, it’s probably best to get rid of any centralized third-party middlemen that are responsible for storing your money. It’s sort of a paradox in the crypto-world that there are so many centralized financial bodies to handle decentralized currencies, but it will have to do for now. One way of ensuring extra safety when it comes to online wallets is to implement a 2-factor authentication method of signing into your wallet through applications such as Google Authenticator or Authy.